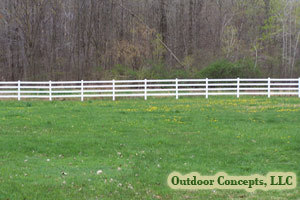 Whether you are securing a site, adding elegance or both, there is a fence product and style to meet your needs. 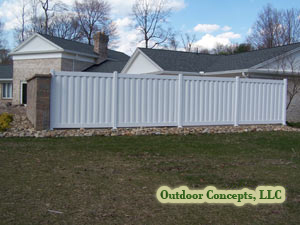 Combining fence styles is also an alternative. 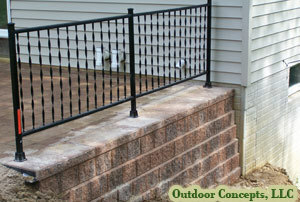 For instance, ornamental aluminum could be used to provide elegance at the curb and chain link in less visible areas for an economical solution. 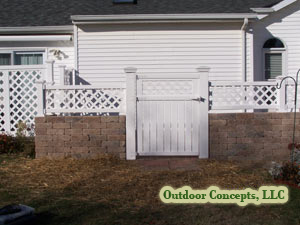 The attractiveness and strength of ornamental aluminum and steel picket fencing makes it a favorite as a perimeter fence or for planter enclosures. A wide selection of styles from contemporary to traditional are available. The selection of styles, colors, strengths and heights are many. For areas where additional privacy is a concern, mesh can be added. 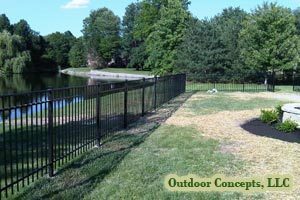 Ornamental steel fences add style to commercial and industrial properties while possessing the strength to provide security. 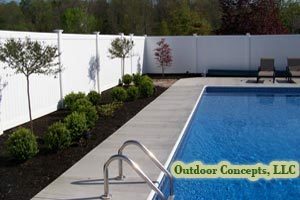 Wood fencing provides a more natural perimeter fencing type and is excellent where privacy is a must or to hide undesirable views. 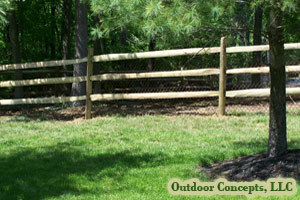 Various styles of wood fence are available. 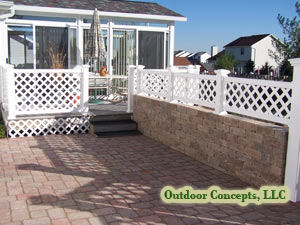 Elements such as latticework and post caps can compliment the fence. 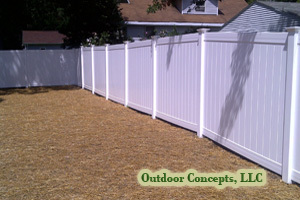 Vinyl fencing is a low maintenance fencing alternative. Used for privacy or as a decorative element, there is a style to fit your needs. It is available in various styles, sizes and colors. 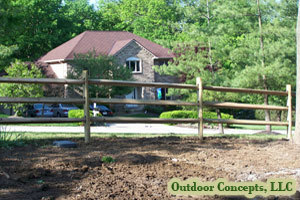 Whatever your reason for installing fencing, let the professionals at Outdoor Concepts consult with you to help you select the best options for your property.